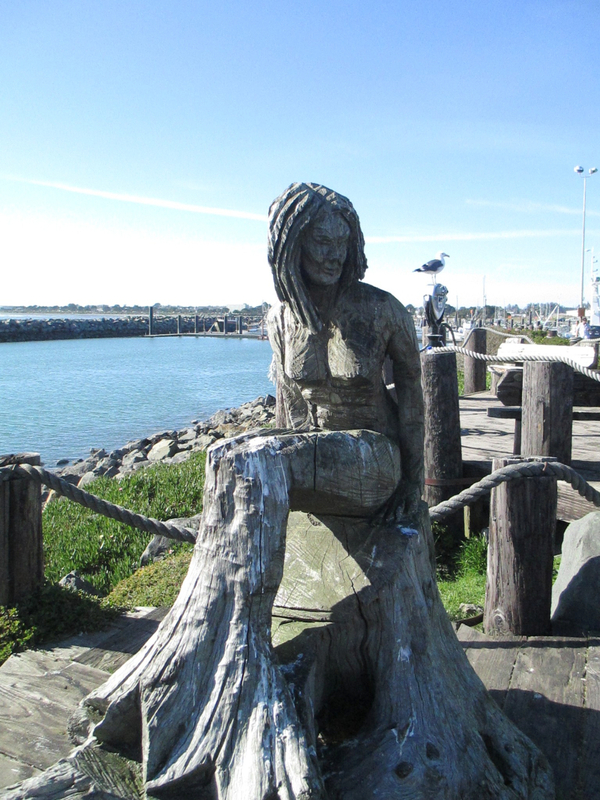 The mermaid statue in Crescent City was created by chainsaw carving pioneer Ken Kaiser in 1994, and graces the Crescent City Harbor area. Crescent City Mermaid. Photo © by Mike Marler. Crescent City lies on the coast in northern California just 10 miles or so south of the Oregon border. This is the area of Redwoods State Park and other parks with these ancient and enormous Sequoia trees. It is also the area of the early pioneers of the art of chainsaw wood carving in the 1950s and 1960s. Ken Kaiser made a name for himself in 1961 when he made 50 giant chainsaw carvings for the Trees of Mystery enterprise about 15 miles south of Crescent city. The art of chainsaw carving developed greatly in the 1960s and 1970s with many more people getting involved. 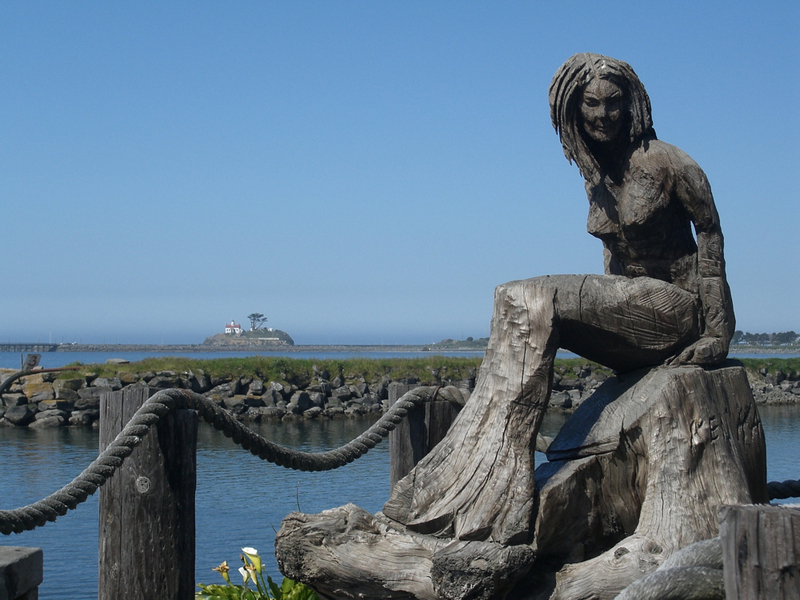 The mermaid statue in Crescent City is a fitting monument to both the city and the art of chainsaw wood carving. 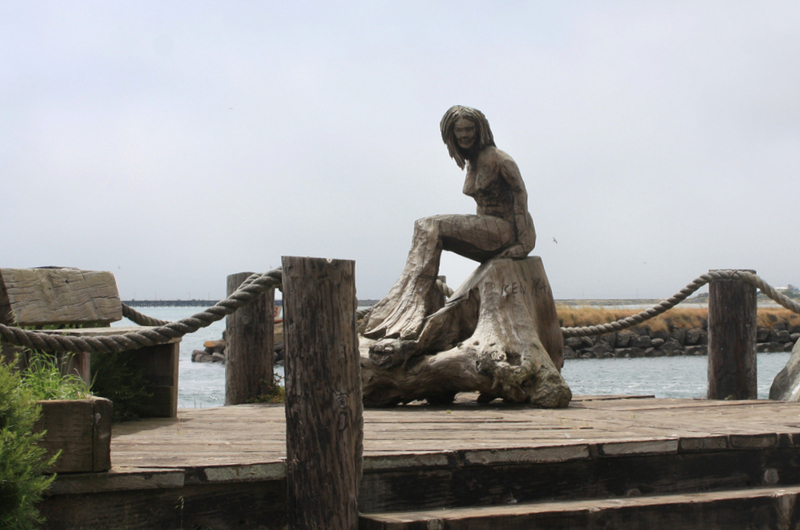 Crescent City Redwood Mermaid. Photo © by Diana Jepsen. 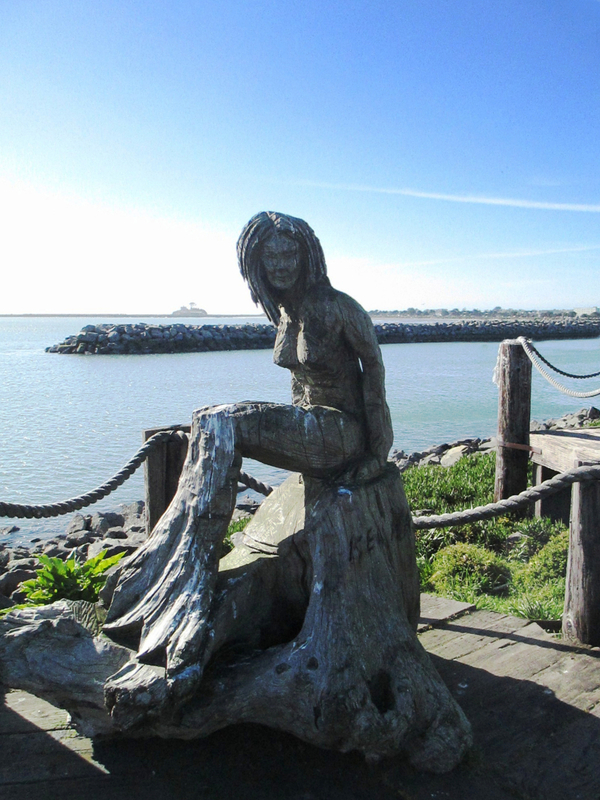 Crescent City Mermaid Statue. Photo © by Barb Jernigan.